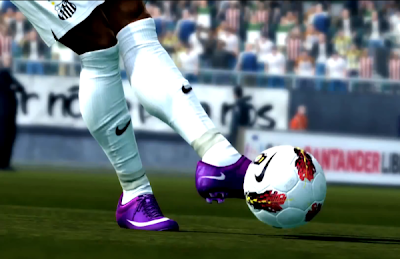 PES 2012 and PES 2013 have been crowned the top two best-selling games of 2012 in Brazil. Topping Activision's Call Of Duty: Black Ops 2 and Electronic Arts' FIFA Soccer, Konami's two latest football titles each finished top of the Playstation 3 and Xbox 360 charts. Looking at the Nintendo Wii charts, Konami just missed out on taking home the matchball, but were still able to grab second place, sitting just behind Ubisoft's Just Dance 3. Even after hosting a press tour in São last May, and then later announcing the license for all twenty sides of the Brasileirão, trumping every other major gaming title of 2012 is undoubtedly an impressive achievement for the PES Team. What does this mean for the future of the series? Of course, after successful deals with the Copa Libertadores and the Brasileirão, anyone would be mad to rule out Konami investing additional resources into the Latin American market. If you want my opinion, I expect Konami to make another move for the Argentine Primera División - especially after they just missed out on the license last year.